I don't know about you but this Scripture is an anchor for me during the storms of life. As I meditated on it the other day I was reminded that 'leading' is another way we use our hands, and in the context of this passage King David is crying out to God in prayer, overwhelmed yet not shaken because his confidence is in the evidence of God's hand leading him, delivering and sheltering him, across many years. When David was at his lowest, He turned to God. When David was rejoicing, He turned to God. David knew that turning to God was the only way he could conquer his enemies, fear, depression, sorrow, and despair. 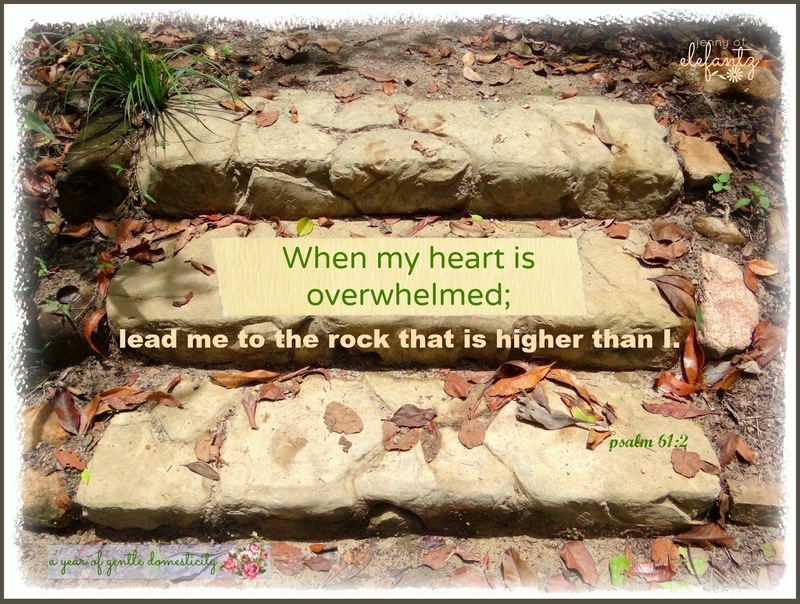 In the course of our lives we're sure to encounter those same emotions from time to time and I hope that we follow David's example and turn immediately to God, our Rock, placing our hand in His to be led out of that darkness and into the safety of His arms. He is our strong tower (61:3), our shelter (61:4), He listens to (61:1) and answers our prayers (61:5). But what about when someone you know falls into despair, grief, or fear - how do you comfort them? Do you listen intently as they pour out their story, offering a hug, tissue and a cup of coffee? How often do you lead them to the Rock that is higher than us? I am personally challenged by that question. In the past my first words of advice and comfort for Christian friends has been to pray, to seek Jesus, to let the words of Scripture water their parched hearts. But my advice for those who were not believers? Prayer is mentioned, but I do not often share the love and power of Jesus with them, the life-saving truth of the Gospel. So after allowing God to speak to me through this Psalm, 'leading' has taken on a new significance in my life. Leading them whose hearts are overwhelmed to the Rock that is higher than I must be as natural to me as brushing my teeth or praying over a meal - and at the moment it is not. But you know God is merciful, gracious, and generous. He gave us His Holy Spirit and He longs to renew our mind and fill us with words of courage, comfort, hope and truth. When we access that renewing power we will automatically lead those in need to Him. It's not complicated. I am the vessel, and He is the Living Water. It's about have a willing heart, then emptying me and re-filling with Him. I’m so glad someone stepped in to my life 24 years ago and shared that news. It was so life changing that I married the messenger. You can download the Scripture and devotion HERE. What a very sweet testimony. I love that you married the messenger. I agree that it's easy to tell other believers to trust Him, but it's different when the person is a nonbeliever. I pray that I can lead others to the Rock! ♥ Merci pour cette belle méditation !!! Amen, Jenny. I think this is particularly interesting because it works from both ends. If we are the ones feeling overwhelmed, it speaks to us of hope. If we are the ones comforting the overwhelmed, it speaks to us of commitment to lead others to hope. I love those two-way scriptures! Which is almost all of them. =) Thanks for your thoughts today. 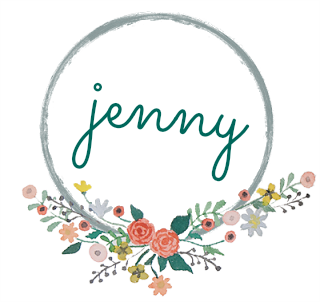 Thank you for sharing the deep places in your heart Jenny. This was like a cool, energizing drink and put the capstone on my devotions today. God is so good! God certainly directed you to share this scripture today!! My daughter is coming home today (I am caring for her children while she and he husband are doing military duty) for 4 days and moving all her stuff out of the house as she and her husband of almost 8 years are getting a divorce. My heart hurts for them, but especially for my dear granddaughters (7 years old and 19 months old)...I need the rock so very much right now. One of my favorite verses! Thanks for the reminder. Thank you Jenny....Love todays verse. I am loving your sunday scriptures and testimony but I am having problems printing them out? For some unknown reason, what should just be a full page or two comes out as 4 or 5 pages with some of the wording mixed up - help please Jenny!